Along with all the great eLearning stories that happen within the classrooms at St Andrew’s College, this blog does also try to cover the occasional product release or update that is pertinent to our students and parents. Handwriting directly into a NoteBook with either a finger or preferably, a stylus. 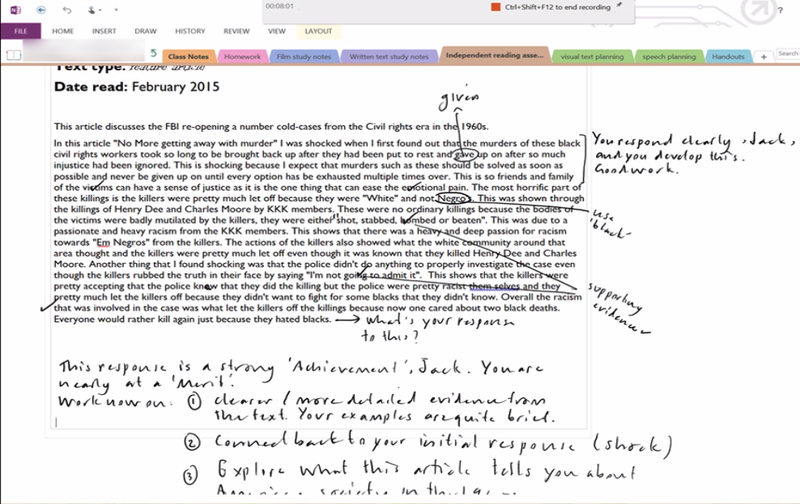 OCR functionality – allowing for searching within images that have been added to a OneNote NoteBook. UPDATE: Microsoft OneNote Developers have confirmed to me that OCR functionality is only available in OneDrive (Consumer) and not in OneDrive For Business that schools / workplaces use and rely on. Regular readers of this blog will know that the College has invested significantly into teachers using the Surface Pro 3 tablets (around 25 teachers now have one as their primary device), and 2015 has seen quite a few students bringing a Pro3 to class each day too. Whilst we do run a fleet of iPads in the Junior Department managed by JAMF’s Casper Suite, the lack of handwriting or drawing within the free OneNote app on an iPad has always been a significant drawback. I decided to create a quick video highlighting the handwriting feature of OneNote for iPads, and included the necessary steps to connect with the College’s Office365 account (all OneNote NoteBooks on an iPad must be stored in OneDrive or Sharepoint Online – they can not be stored locally on the iPad only). With today’s update, text within any image inserted into a notebook saved on OneDrive will be searchable in OneNote on all PCs, phones and tablets, as well as OneNote Online. Once added, the OneNote service will process it and it will start showing up in search results typically within a few minutes. It is primarily in our Preparatory School that we have seen lots of iPads being used by students and with this update I am sure there will be a re-examination of their usefulness in the classroom, given the tight integration into Office365. This post was guest written by Mr Ben Hilliam after St Andrew’s College hosted Mr Travis Smith, Microsoft Australia’s National Education Specialist in December 2014. 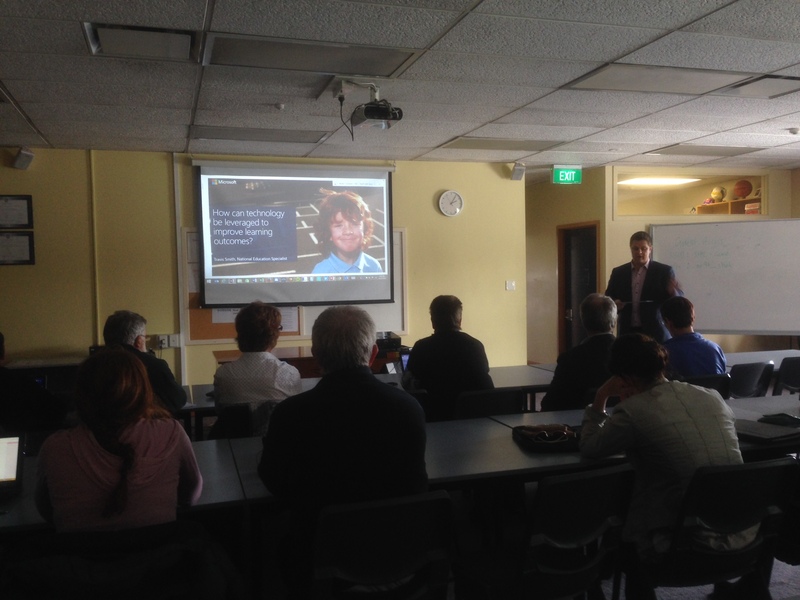 In December 2014, St Andrew’s College had the privilege of hosting Microsoft Australia’s National Education Specialist, Travis Smith. He spent a week touring New Zealand talking to educators from primary through to tertiary sectors about how they can use technology to improve learning outcomes. Although this sounds like an arbitrary topic for a speaker from Microsoft, Travis focussed continually on how improved learning takes place and the technology was very much an accompanying instrument to this drive. Travis spoke very broadly at first about how we need to target where we want to see innovation in using digital technology, otherwise, schools’ pedagogical progress can be flapped about by what any particular teacher wants to focus on at any time. The challenge is to get 80%+ of your educators being actively innovative in their practice. A hurdle that Travis identified to this goal is the way we educate our educators. They first need to become familiar with the technology they are going to use. Secondly they need to develop a skills base with that technology. Then finally, they need to have be given the time and opportunity to implement it into their learning/teaching processes. That three step process seems simple, however, most school professional development opportunities miss out steps 1 and 2 and jump straight to 3. The technology that Travis spoke at length about in his presentation, is one dear to my own professional development: The Power of the Pen. We have been in an era of digital technology for 40+ years now. Computers have been in schools in some way or another for well over 30 years. For the last 20 years every high school student by the time they have left school has spent quite some time using a computer. And now probably the majority of schools run some kind of BYOD or 1-1 computer programme. However, for certain aspects of learning, digital technologies have made very little progress on changing or adapting the way they are taught. My subject area, Mathematics, being one of the main unaffected areas. The reason for this is because many types of thinking are best supported by pen and paper. Travis cites this research in support of this. Becoming familiar with the technology: As I sit and write this post at my parents-in-law’s house during my summer break, it is here where three years ago, my brother-in-law showed me his iPad with a stylus. I had a play around with an app called Paper. The stylus was quite good with the iPad, but had the drawback of not working when your palm rested on the screen. However, it was enough to whet my appetite and I could immediately see the advantage of a digital canvas in a world with cloud sharing. I convinced my school to let me be a forerunner with this technology and after I put the case to them, they invested in an iPad and stylus for me to use in my classes. Building skills with the technology: My iPad became my new whiteboard and notebook. I could cast my screen to my projector, deliver my content that way, and still have a copy to share with my students afterwards. I still had the frustration of having to have a magazine between my palm and the screen, but I felt I was moving in the right direction and feedback and marks from my students did not contradict me. I moved to a new school (St Andrew’s College) which was Microsoft only, so I needed to adapt. They provided me with a SurfacePro and I continued as I had with the iPad with some added advantages: I could now write naturally with my palm on the screen, my notes were always live and organised through Microsoft OneNote and I had a fully-fledged computer at my fingertips. Here is an example of how I used it. Implementing technology into my teaching and learning process: I am now able to approach 2015 running, with three of my classes now in a 1-1 computing environment. My students can have their learning their own way, either my “chalk and talk” projected in class, or watched again afterwards having been recorded and posted using OfficeMix or in some cases watch content in advance. On their own devices they all have a communal OneNote along with their own personal OneNotes that I have access to as well. And for those students also with a stylus enabled device such as a Microsoft SurfacePro or a Lenovo Yoga, they can toss their paper books aside. As I reflect on how this process has played out for me, I can see I have built an innovative practice into my everyday pedagogy and it is now embedded. However, this whole process has taken around two years and required support from my successive HOD’s, senior managers and IT staff. If schools want to emulate this process they first need to create an environment where these things can all come together. With the official New Zealand launch of the Microsoft Surface Pro 3 last week, St Andrew’s College took delivery of six of these units with a very clear focus to get them into the classroom and finding innovative ways of using them in teaching and learning. Having purchased a number of the original Surface Pro and Surface Pro 2 devices, excellent examples of teaching with these in the classroom have already emerged, such as Mr Hilliam’s math lessons blogged about here. Over the course of 2014 a number of teachers, in both the Preparatory and Secondary schools, have been asking for Tablet style devices to trial in their classes. We have explored a range of different units, including the HP X2 and HP 360 – the latter really impressed us with the innovative design that allowed for the keyboard to flip right around behind the screen and also serve as a built in stand. In the end, the biggest difference between these devices and the Surface Pro 3 came down to the inking (writing) ability on the screen. 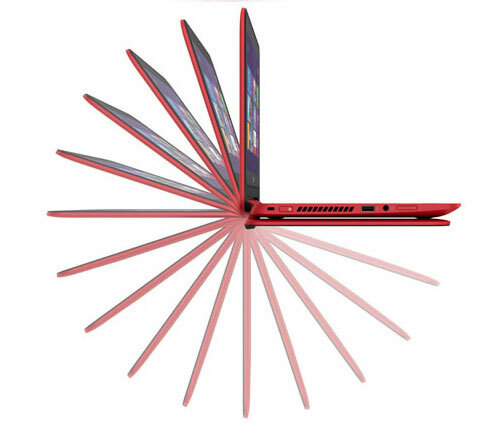 The earlier iterations of the Surface Pro had shown the accuracy in this technology from Microsoft was significantly ahead of the other Windows 8.1 devices and iPads. Small things, like the ability to rest your palm on the screen and still be able to write without the palm interfering with the touch, really stood out. Behold the most natural writing and drawing experience on a tablet thanks to the new Surface Pen. Use the Pen to mark up presentations, sign documents or enjoy art apps. You can also open a blank OneNote document with a click of the Surface Pen to instantly capture your next idea–even if your device is in sleep mode. OneNote is used extensively at St Andrew’s, so the instant click on the end of the pen to open a notebook will appeal to our teachers and students. The use of Tablet style devices does create some challenges for the ICT team here – reduced storage on the devices means teachers will need to become more familiar with Cloud / Network storage for starters. Additionally, if a teacher currently has a laptop failure e.g. a cracked screen, they come to the ICT helpdesk where the hard drive is removed, placed into a spare laptop, and they carry on as normal very quickly. Given we can not directly service these devices, there is potential for some delays for our staff if they have not stored their content off the device. Another part of this trial will be getting our staff to use the web interface of our Student Management System, Synergetic, instead of relying on the client application. The trend in development for this product is towards the web interface and if this trial is successful, it may open up possibilities for even wider device choice amongst staff. 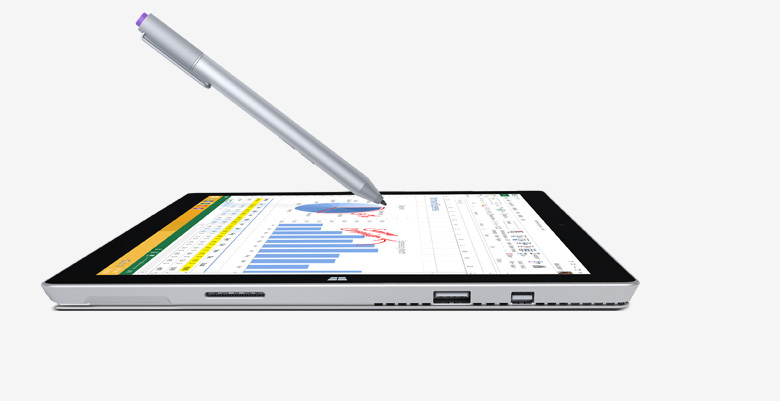 Finally, we are listing the Surface Pro 3 as part of our recommended devices for 2015 for students at the College. The ongoing testing of these devices by the teachers should present additional compelling reasons why this device is an excellent fit for a student in the classroom. 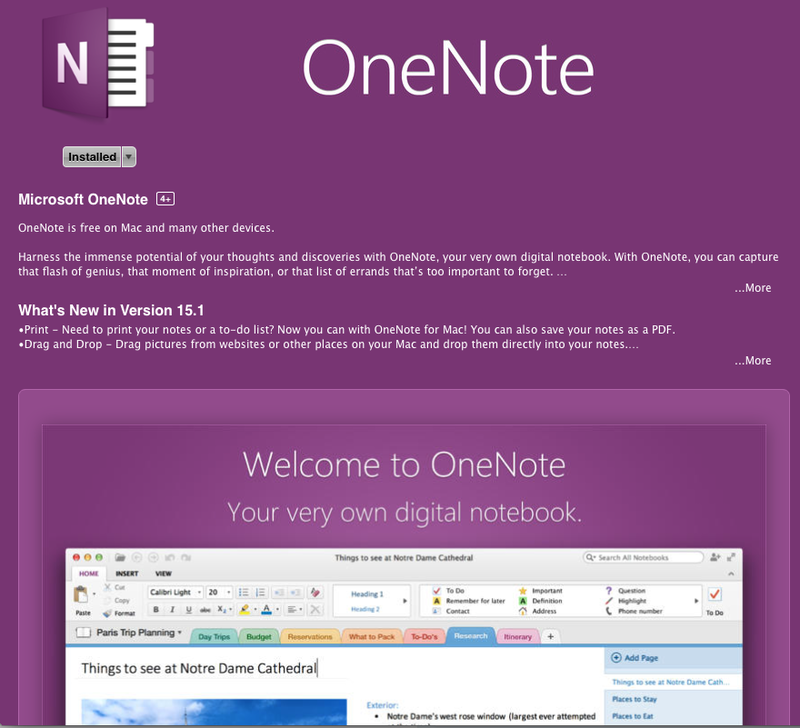 Back in March this year I was incredibly excited to hear that Microsoft had finally released a version of OneNote for Apple MacBooks running OS X. However, it became immediately apparent this was “OneNote Lite” with heavily restricted functionality and I blogged about my frustrations here. 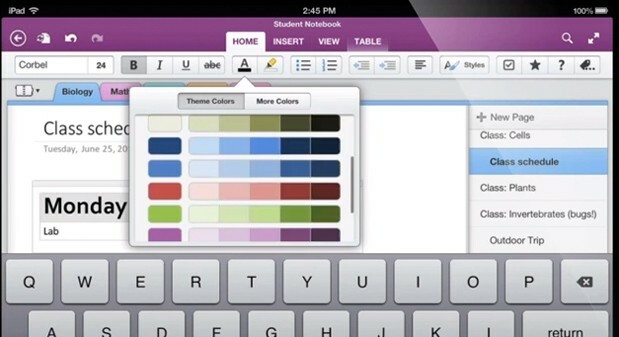 @DarrellCWebster Darrell, have you seen that we've released four big updates to OneNote for Mac. See more here: http://t.co/Jz2RfxphFq. The first point is critical for students at St Andrew’s College, many of whom bring a MacBook to school (numbers of Year 9 Students with Apple devices shown here). This was also posted on the front page of our Moodle LMS for increased visibility. In some ways this free update helps close the circle of functionality for our College – whilst not enjoying complete parity, MacBook users now have far greater ease of access to OneNote which is a tool that increasing numbers of our teachers are using in their classrooms. 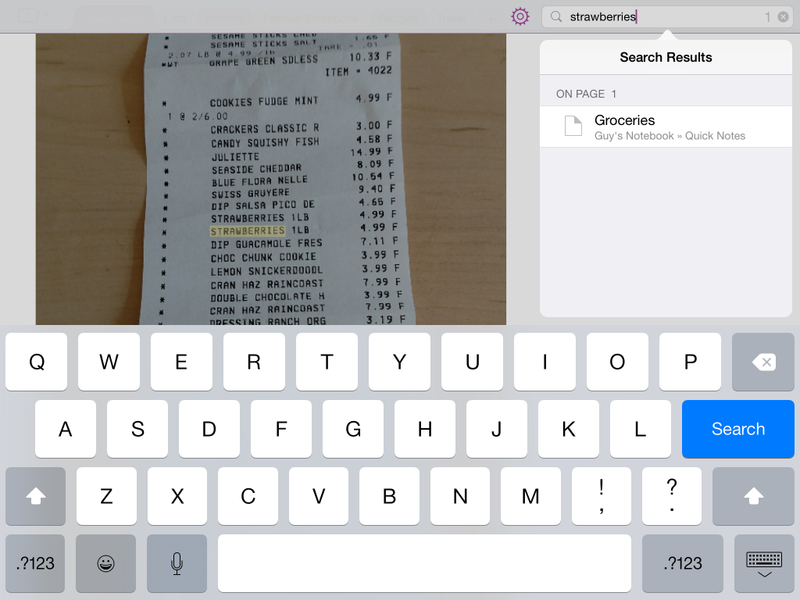 A neat feature to see added to the iOS versions of OneNote would be inking – the ability to use a stylus within OneNote on the iPad or iPhone. Here’s hoping this is not too far away!